How to Get from Lisbon Airport to Oeiras? Are you visiting Portugal? More exactly Oeiras? Your first stop will be Lisbon airport. Once there you probably do not have anyone to pick you up so you certainly need a transport to Oeiras. If you want to avoid all the hassle of catching an Lisbon public bus to Oeiras carrying your stuff around and if you are not willing to wait and pay for expensive normal taxis to Oeiras, your best option is to book online a private Lisbon airport transfer to Oeiras. Select Oeiras as your transfer destination area and provide us with flight details, Oeiras accommodation address and contact. We automatically process your request for transport availability to Oeiras and send a booking voucher with your transfer confirmation in a matter of seconds. At Lisbon Airport arrivals terminal a friendly driver will be waiting for you next to a placard with our website logo. For the return transfer we will pick you up from the same address in Oeiras. And remember, you can always pay later to the driver for both your arrival and return Oeiras transfer. How far is Oeiras from Lisbon Airport? How much will it cost? How long? The travel distance between Lisbon Airport and Oeiras is 26Km and transfer time takes approximatly 30mins under normal traffic conditions. 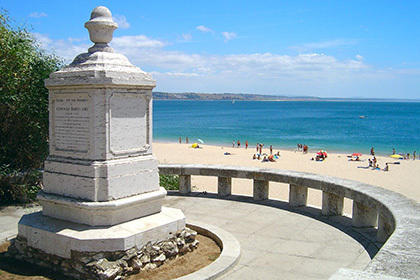 Our private Lisbon taxi transfers to Oeiras have fixed prices and compared with traditional taxis our services are faster, affordable and a comfortable alternative of transport to Oeiras. One of our drivers will welcome you at Lisbon Airport arrivals hall. He will assist with all your belongings and guide you to your assigned transfer vehicle, which may vary from an executive car up to 4 passengers, a modern van up to 8 passengers, a mini-bus up to 16 passengers or even a large bus up to 27 passengers. In approximately 25 minutes you will be transferred to Oeiras area. Welcome to Portugal! Oeiras is the western Lisbon metropolitan area, it has grown so much that nowadays is one of most populated towns in Portugal. Many multinationals choose Oeiras has location for their headquarters. There are many offices parks: Arquiparque, Lagoas Park, Miraflores Premium, Neo Park, Parque Holanda, Parque Suécia, Quinta da Fonte, Taguspark (Science and Technology Park), Tagus Space. Aside of all this industrial and commercial facilities, Oeiras has beautiful beaches set along the Tejo river mouth: Praia de Carcavelos, and Praia de Santo Amaro de Oeiras. Our ground transportation transfer service at Lisbon Airport will transport you directly to and from any hotel, office park or private apartment in the Oeiras area: Lagoas Park Hotel, Hotel Real Oeiras, Riviera Hotel Carcavelos, Tagus Park. To pre-book a taxi transfer from Lisbon Airport to Oeiras or nearby location use our website and take a look at our full list of taxi transfers destinations and prices.